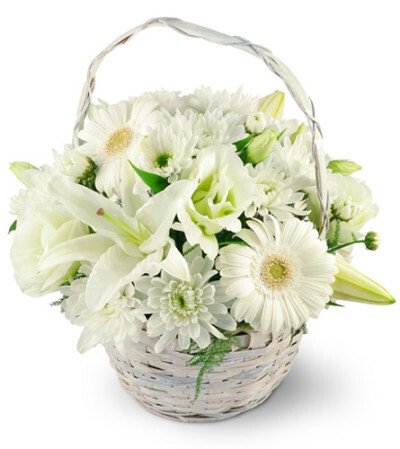 Wrap someone's spirits in a blanket of tranquility with our calming Serenity Basket. 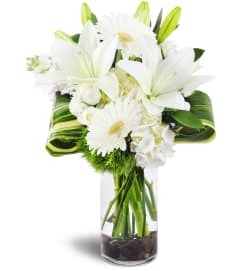 An uplifting mix of pure ivory tones - including white lilies, gerbera daises, and mums - will be a comforting reminder of your sympathy during a time of loss, or a caring way to say "I'm Sorry." 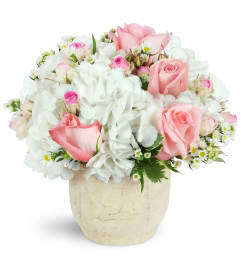 A beautiful white basket overflows with white oriental lilies, chysanthemums, lisianthus, gerbera daisies, and plumosa.